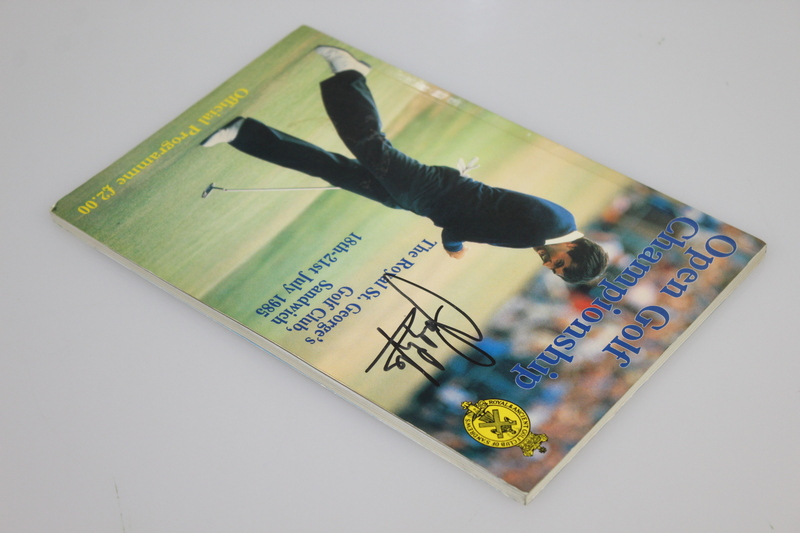 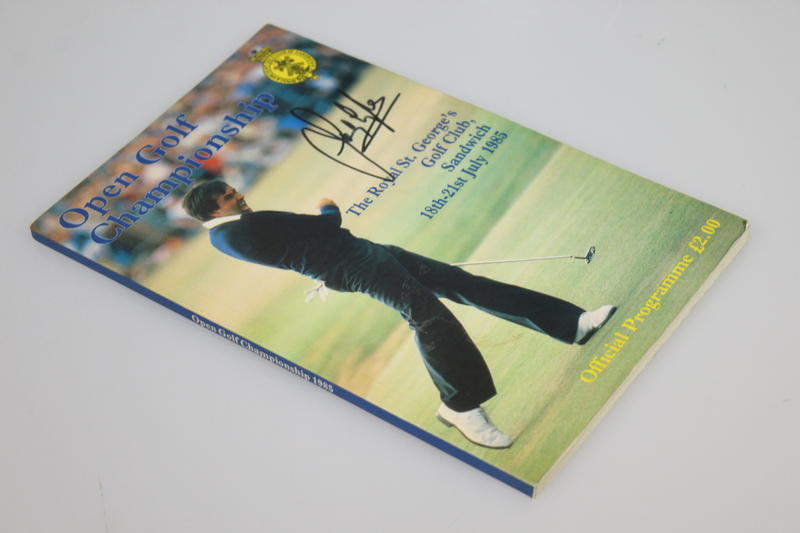 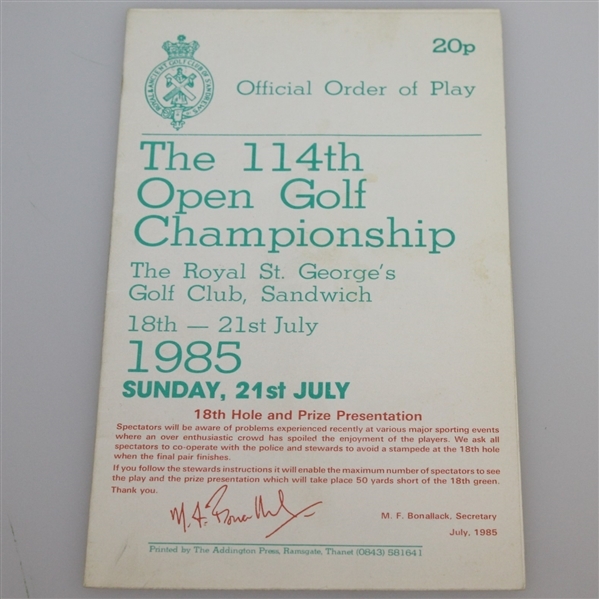 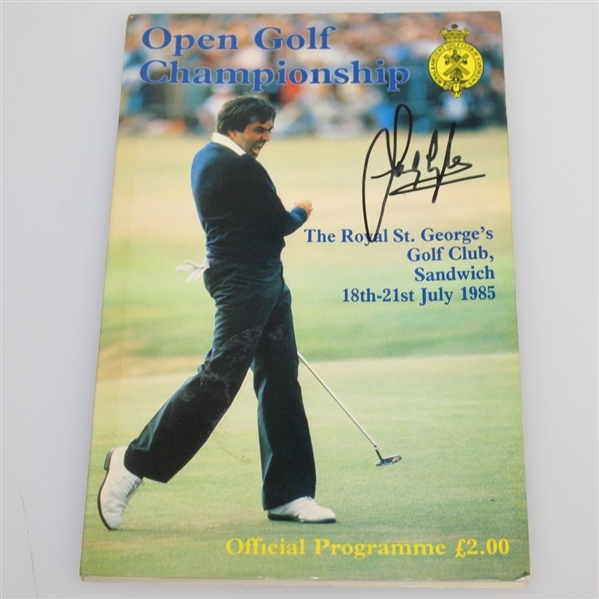 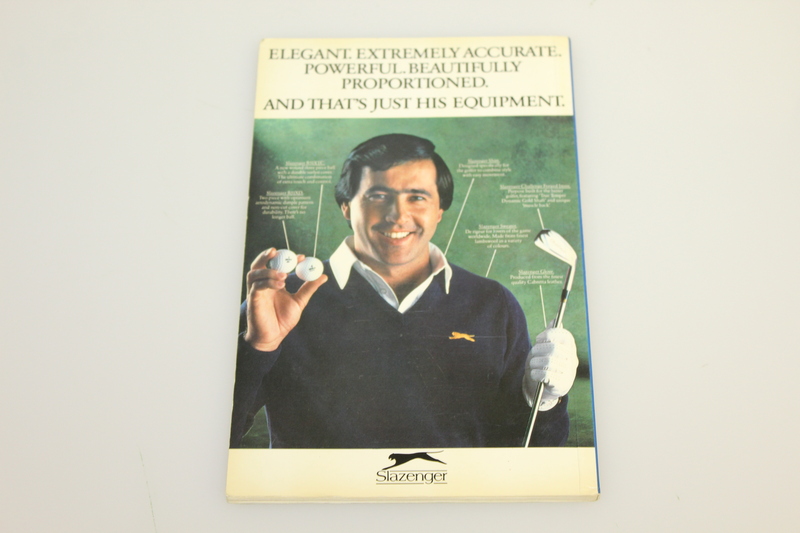 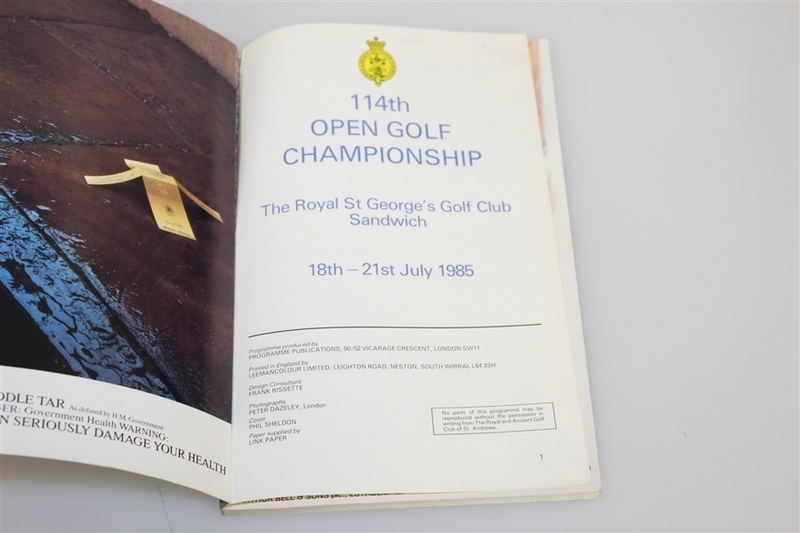 Offered here is a 1985 Open Championship at Royal St. George's program signed by the winner Sandy Lyle. 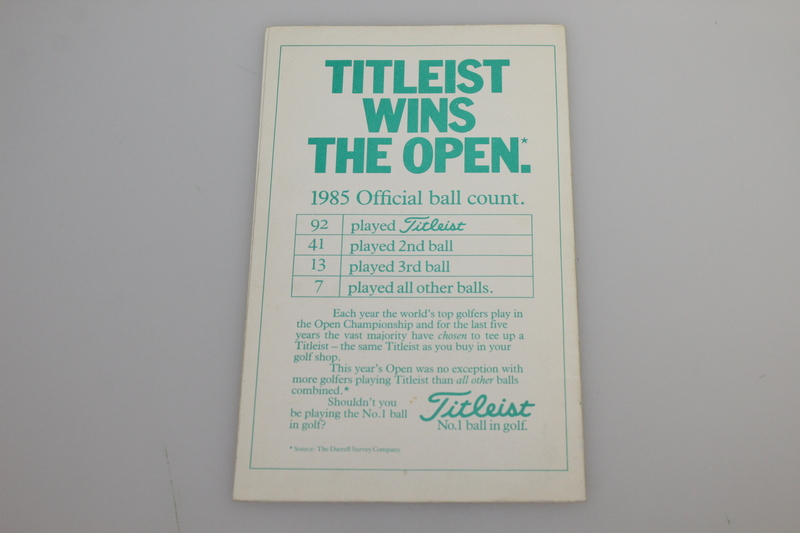 Noted for accuracy the front cover bottom right corner has a slight dogear, otherwise in good condition. 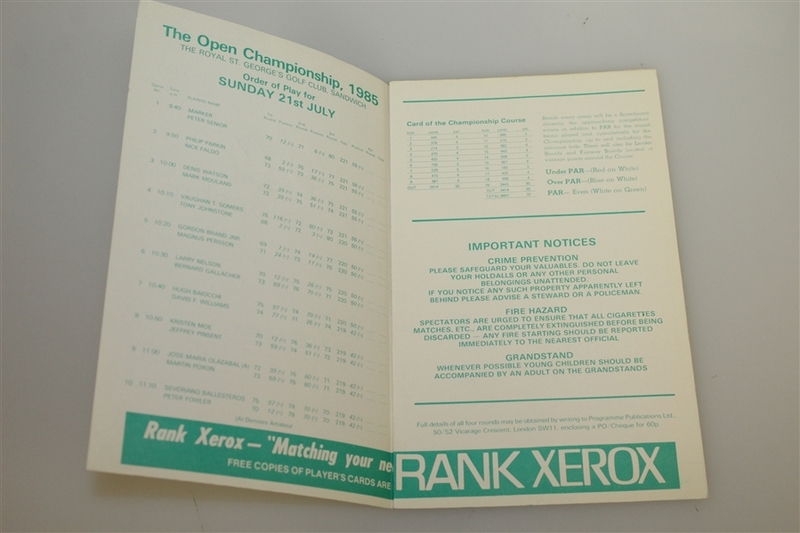 Also included is a pairing sheet in good condition. Lyle's first Major came at the 1985 Open Championship, finishing 1 stroke ahead of runner-up Payne Stewart.